When a parent is afflicted with an opioid addiction, the entire family is affected. Parental addiction is considered to be an adverse childhood experience (ACE) for the child. 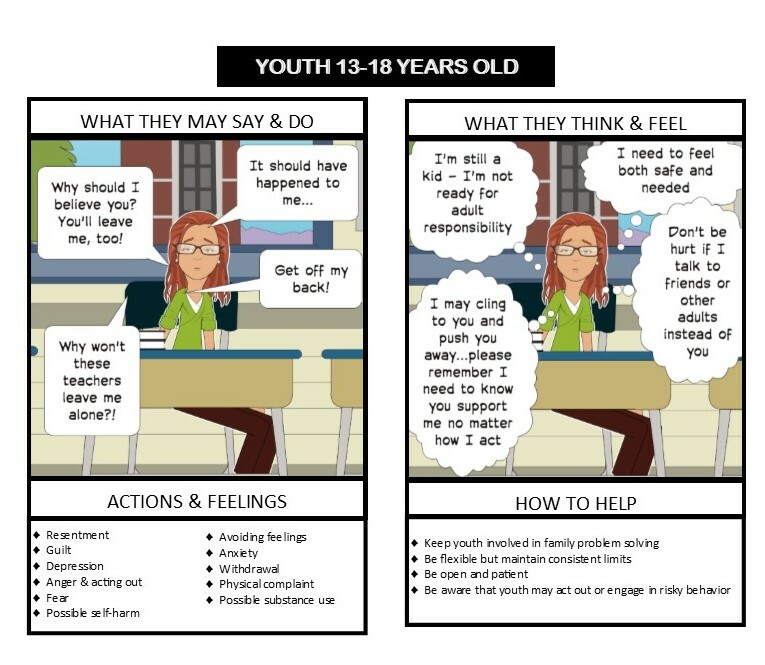 An ACE is a traumatic event experienced by a child by the age of 18. ACEs include events directly experienced by the child such as physical abuse, sexual abuse, and neglect but also situations that impact parenting capabilities such as parental mental illness, substance use, divorce, incarceration, and domestic violence. The more ACEs a child experiences, the more likely the child is to have negative outcomes in adulthood. ACEs have been found to negatively impact physical and mental health and to increase substance use and risk behaviors, and premature death. The Center for Disease Control provides more detailed information about ACEs. 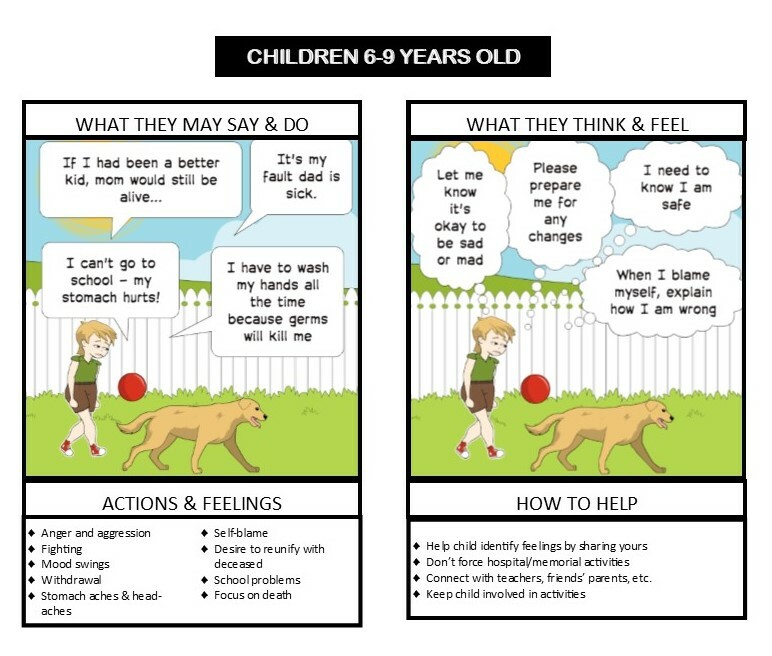 When children experience trauma, they often do not have the knowledge and ability to accurately relate their feelings and may act out in ways that cause them to be misunderstood. These children need patience, consistency, understanding, and the space to be allowed to express their pain, anger, and fear. 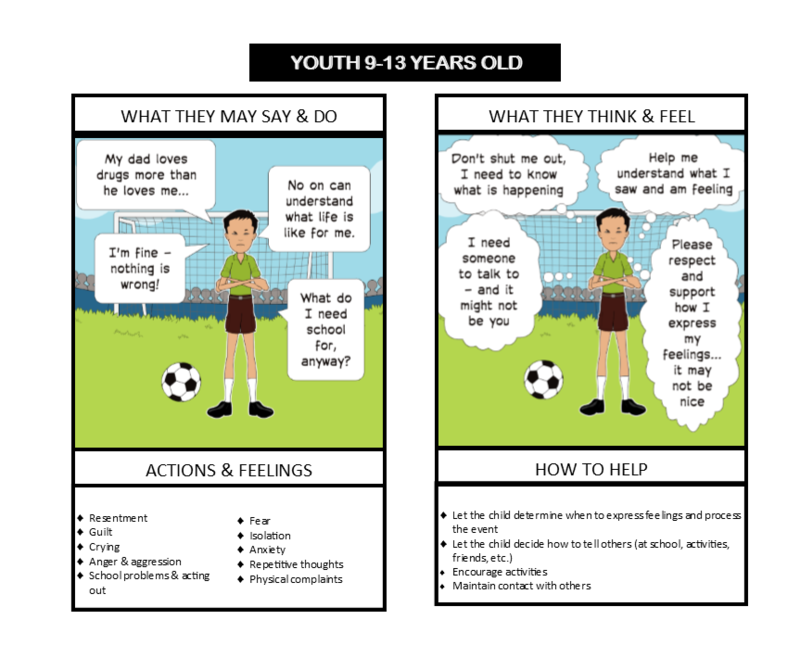 When a child has witnessed or lost a loved one to overdose, especially a parent, to overdose we need to understand that there may be some externalized behaviors and internalized behaviors that are undesired but represent the child’s attempts to make sense of what has happened. 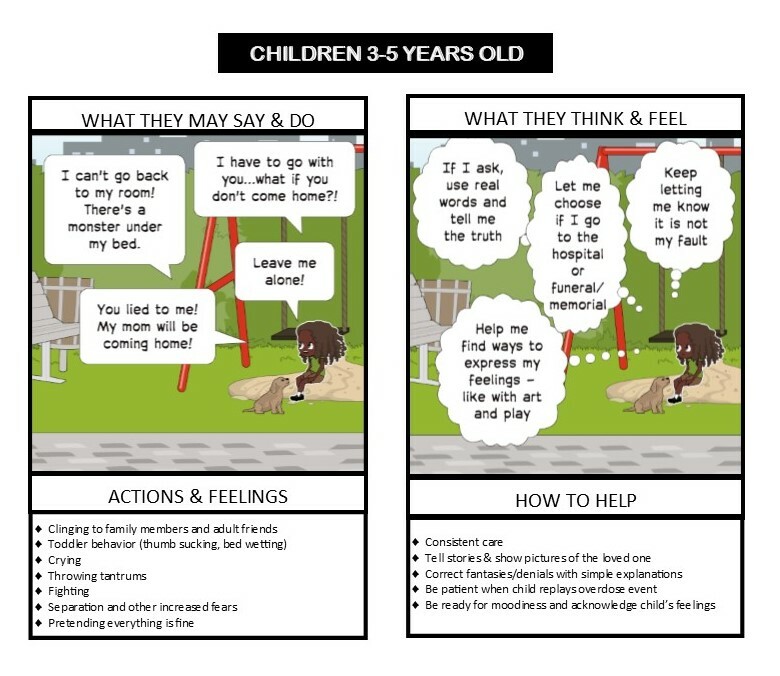 Choose the age of the child experiencing trauma to see examples of behavior and what thoughts and feelings could be motivating the child to act out in negative ways. If the child has behaviors that interfere with everyday activities, are increasingly angry or withdrawn, or even just seem “off” do not hesitate to have the child assessed by a pediatrician and/or mental health professional. 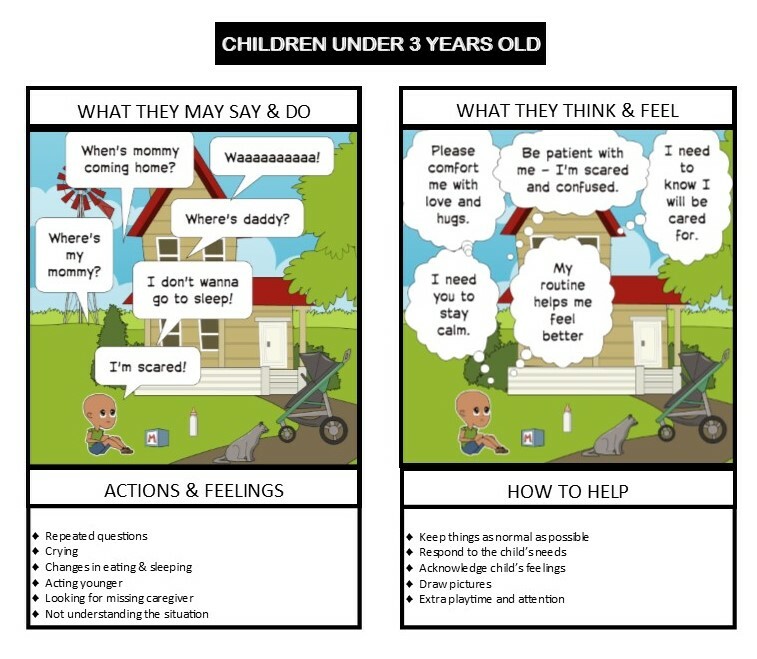 It is better to be cautious and seek professional help to get the resources and support to help the child. The Resources page provides additional links to information, services, and organizations.